South Africa has been carving out its house sound for some time now. Cebestian.V released his first track 'Soaking Wet' for "Essence - Breeze Sessions" on 19BOX(JUKEBOX) RECORDINGS. 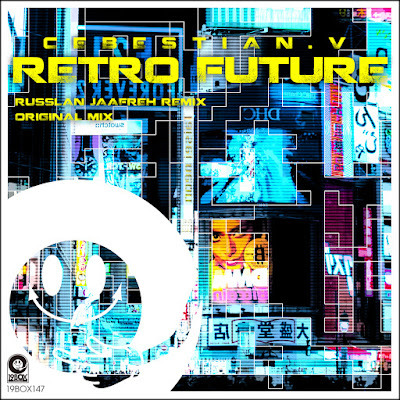 He returns to present 'Retro Future' which is a languid and deep house cut that is going to be hammered all over the summer season. After having had a string of releases on esteemed labels like BONZAI PROGRESSIVE, GREEN SNAKE RECORDS and BAROQUE DIGITAL to name a few, making him one of the fastest rising progressive house artists of the past year, Russlan Jaafreh is gracing 19BOX RECORDINGS with the deep progressive remix, concocting a warm and comforting atmosphere with his airy and effortless arrangement.